Crystal clear blue waters, golden sand and a coastline of more than 550km create marvelous bays and beaches that excite us all. 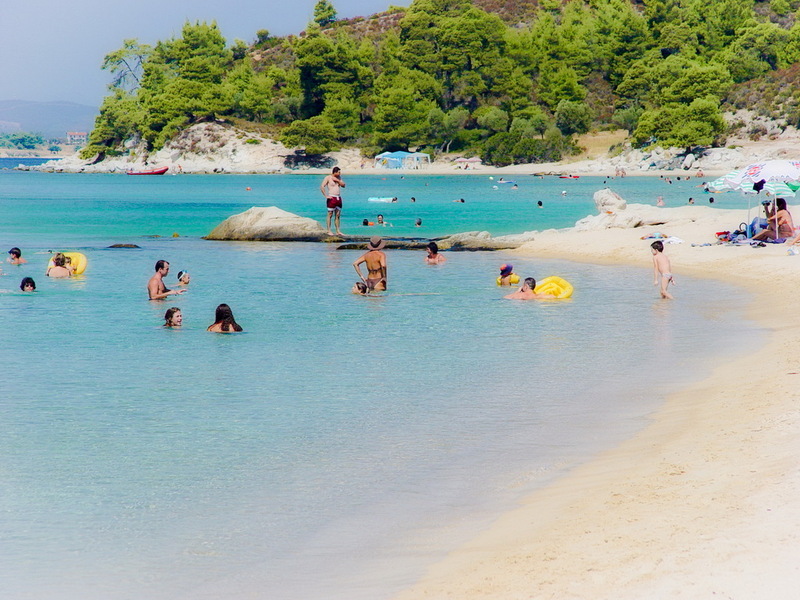 In Sithonia you will find popular beach bars –with music and water sports facilities- ideal for socializing. The area has many secret, quite places by the sea, perfect for chilling out. There are beaches offering family activities- where children can play safely- yet there are also places with deep waters, ideal for scuba diving and explorers of the deep sea. The turquoise waters, the pine forest behind the beach and the wide range of facilities on offer, create choices that suit every taste. 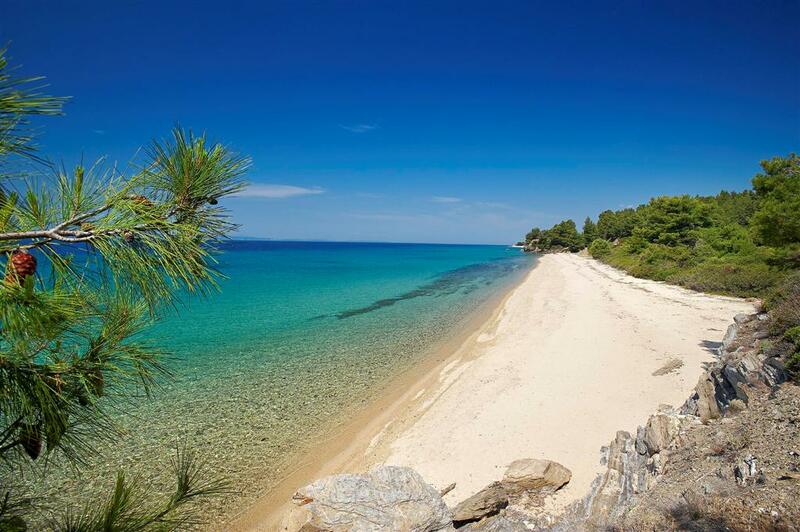 No matter what you are looking for, Halkidiki, Sithonia has the place for you. 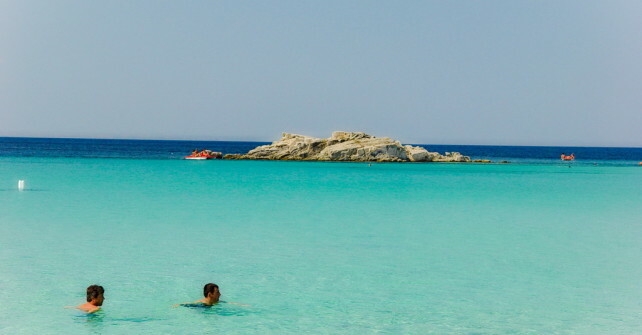 Koviou: Small, sandy beach. The access is possible only by walking from the main asphalted road. 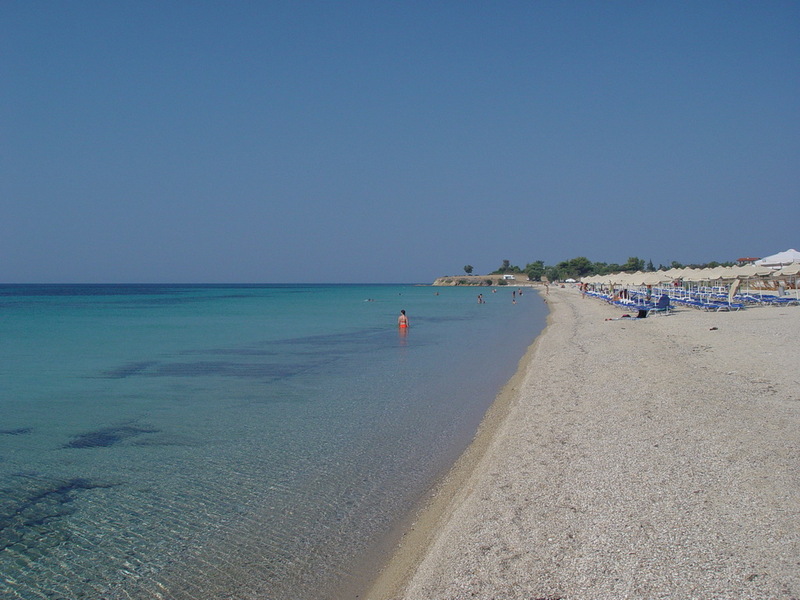 Keramaria: About 1,2km from Neos Marmaras, on the way from Nikiti on your right hand. It is an unorganized beach with a sand and pebble mix. It is easily accessible either by car or on foot. A relatively quiet beach with very clear waters. Paradises: Wide, sandy beach. It is located on the right of Neos Marmaras. It has restaurants, taverns and bars. Neos Marmaras: In the town of Neo Marmaras is the city beach which gives you a view not only to the sea but to the quaint town that is built on hills overlooking the bay. This beach is a continuation of the Porto Carras beach a little further south stretching for almost 3 km. Because of the amount of hotels and apartments for rent closeby, the beach is usually busy, but it is also a convenient beach because of it’s proximity to Neo Marmaras. 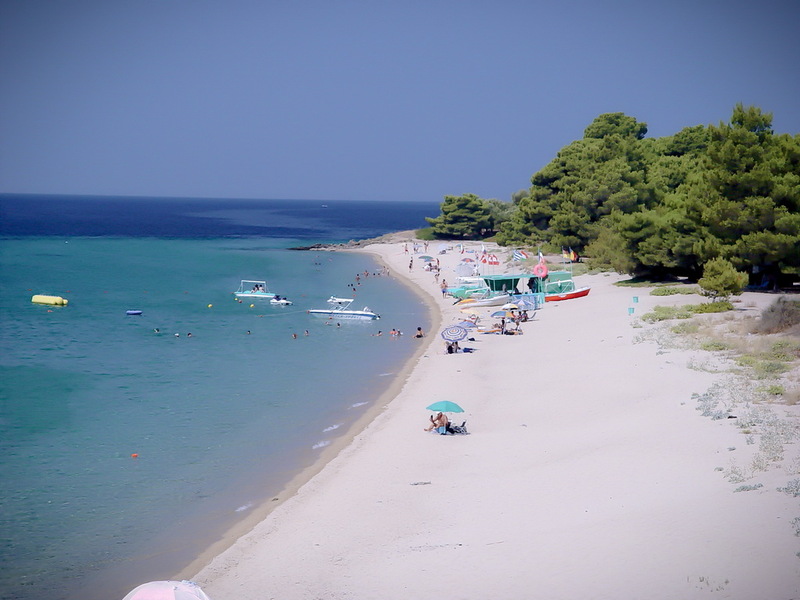 Azapiko: Great in length and width sandy beach with thin, white sand, without vegetation, very little developed. Tristinika: Immense sandy beach that still reminds us what the beaches of Sithonia looked like in the past, before they were developed. It lies in front of a small settlement, with a few rooms for rent, hotels and taverns. 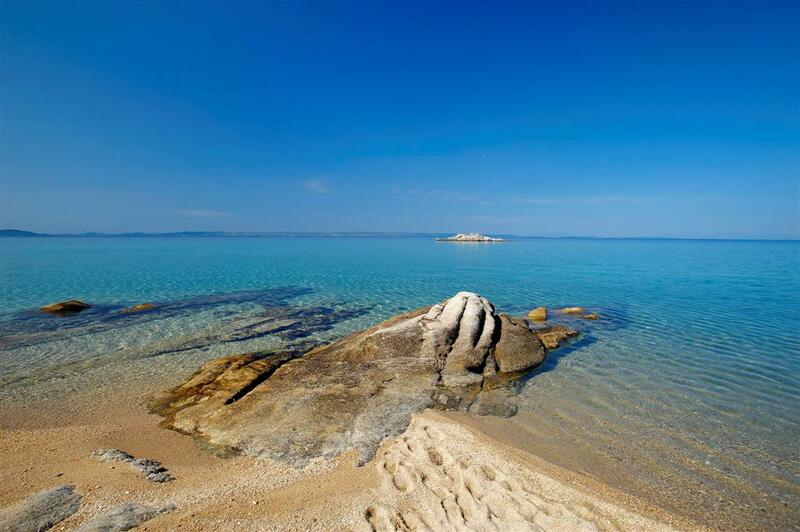 It also has one of the most beautiful beach-bars in Halkidiki. Aretes: Splendid, very little developed sandy beach, with pine-trees that reach up to the shore in a wonderful village, on a bay, between tall rocks. The waters are quite deep. There are restaurants, taverns and cafeterias. Ampelos: Secluded beach, in an impressive place, where a narrow ‘tongue’ of sea enters the abrupt mountain slopes. 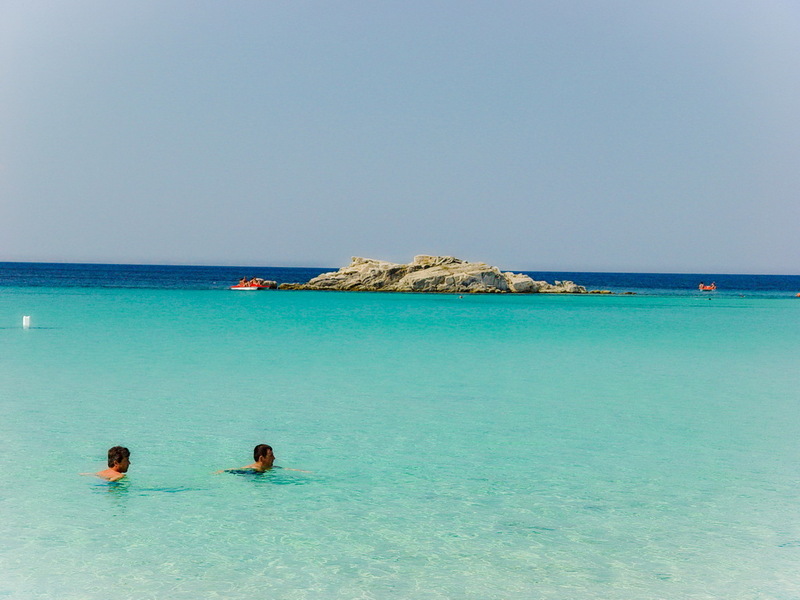 Kalamitsi: Astonishing beach with thin, like sugar, white sand and impressive grey rock formations around it. It has restaurants and taverns. 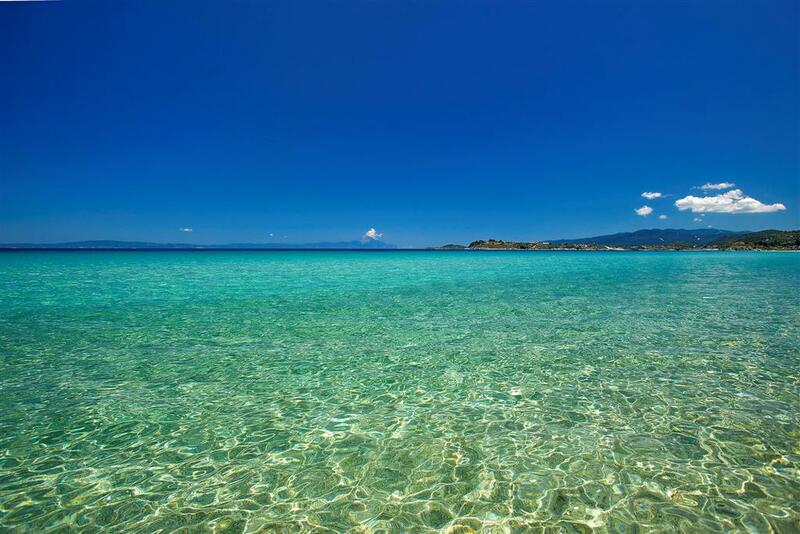 Sarti: Enormous, sandy beach, in front of the homonymous village. 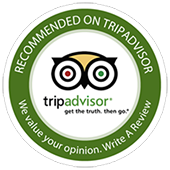 It has restaurants, taverns, bars and cafeterias.